Gluten intolerance seems to be epidemic in our world, so it’s very important for our customers to know that all Juice Plus+ products are gluten free. But what does that mean exactly? All our products meet the limit proposed by FDA for gluten-free foods, no wheat, barley or rye, and less than 20 parts per million gluten. Currently the limit is 200 ppm – ten times higher. 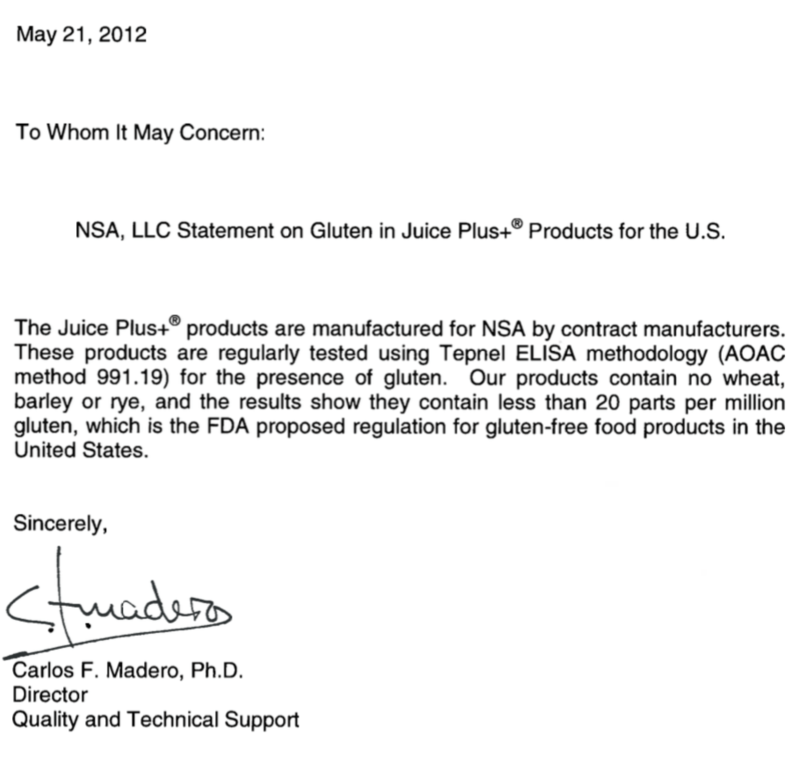 We know of many customers with gluten intolerance or Celiac Sprue successfully using Juice Plus+ products.